As Vice President of Technology, Dr. John J. Callahan will work with Business Development and Fab Operations to drive the technical direction of BRIDG for devices and applications in various advanced technologies such as semiconductor-based devices, sensors, imagers, systems integration, III-V and other novel material based devices. He is responsible for establishing BRIDG’s scientific, device, and application systems team in alignment with BRIDG’s strategic direction. 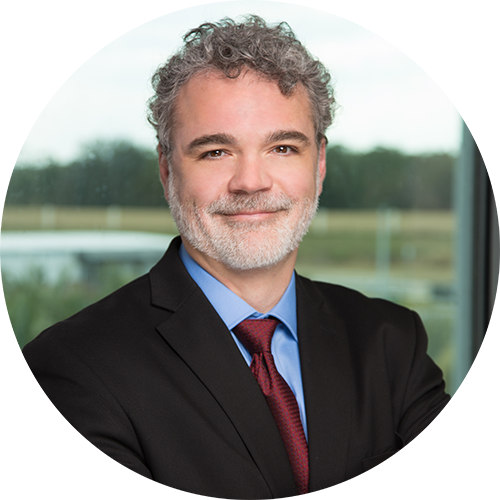 This new position ensures that BRIDG remains positioned to add value to the semiconductor industry and to the Central Florida region. Dr. Callahan has pioneered semiconductor laser technology for telecommunications, datacom, and industrial applications, as well as high density packaging of silicon technologies. Most recently, Dr. Callahan was the Vice President of Engineering for SemiNex Corporation where he oversaw the Engineering and Operational efforts to develop industry leading high-power laser diodes in the 1200 nm to 1700 nm range. He was responsible for creating eight major product lines and over 300 products for the medical, military, consumer and datacom markets. Dr. Callahan has also served as the Director of Research and Development for Cubic Wafer developing a high volume 3DIC integration process, and the Director of Research and Development overseeing the IC, Mechanical and Process Engineering teams for Xanoptix, Inc to create heterogeneously integrated optical transceivers. Dr. Callahan holds multiple national and international patents in the areas of high-density integration, packaging and optoelectronics. He received his PhD in Electrical Engineering from the Georgia Institute of Technology.